There will be a mass Rally for Education at noon on Saturday April 6th Toronto at Queen’s Park. 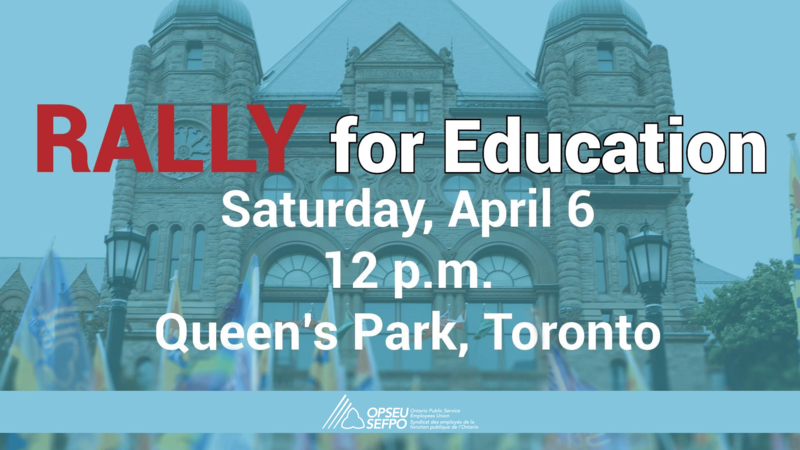 Come join your OPSEU brothers and sisters, and many other unions and community organizations to show your solidarity and let the government know that you support a properly funded education system in Ontario! Say NO to cuts in Education!